As for the ‘Mr. Dalit’ Whatsapp campaign, the Dalits have once again shown the world that they will not be cowed down. What does a moustache really mean? Death, if you are a Dalit and if you happen to be in Gujarat. Last year in July at Una or the Unnatnagar town of Gir Somnath district in the Saurashtra region, four of the Sarvaiya family, Ramesh, Vasram, Ashok and Bechar, were almost beaten to death by a mob for skinning a cow, an occupation that was assigned to them at birth by our society. I thought the shockwaves that the Una flogging triggered across the country could have become therapeutic for the ugly, feudal, casteist forces of the state. No, not at all. They haven’t had enough of Dalit blood. Last week a Dalit was killed for watching the garba festivities and that too in Anand. Can there be a greater contradiction in terms of the geographical context? Anand is synonymous with Verghese Kurien, the Amul brand and the country’s white revolution. There are no reports suggesting Jayesh Solanki, the Dalit youngster, was trying to intrude or getting physical at the garba. Still he was beaten and his head banged against a wall. He died on October 1, a day before Gandhi Jayanti. A day after the Mahatma’s birthday another Dalit youth was stabbed. The 17-year-old has survived the attempt. 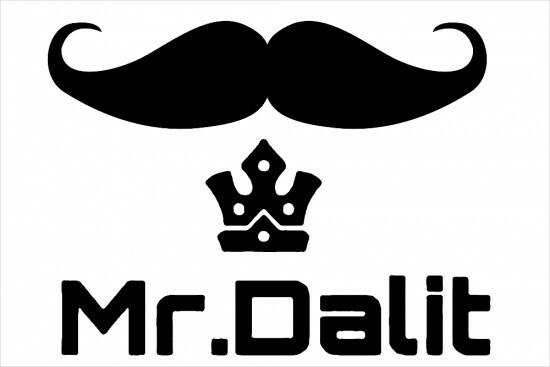 His crime: he was with Piyush Parmar, a Dalit youngster who dared to sport a moustache. Piyush was attacked first on September 25, four days later Kunal Meheria was also attacked for keeping a moustache. I have very rarely kept a moustache. I never thought that it signified anything. I found no vanity in doing up a hairy inconvenience. But whenever I had retained facial hair on my upper lip, I had tended to twirl the tip up. It was some sort of an obsessive-compulsive reflex. To what? Well, I haven’t got it analysed by a psychologist yet. But now that it has become a life-threatening habit for all those who live in Gujarat and who tend to touch their moustache, they need to look around before doing so, particularly if they happen to avail of job or education quotas. I am not reducing this manifestation of intense hatred by casteist crooks to mere jealousy over job quotas. But the behaviour of the dominant castes has been strange. They want to flog, stab and kill Dalits only to establish the non-existent glory of an ima­gined past where they claim supremacy over the rest of their brethren. It is almost as if this imagined supremacy rests solely on their capacity to unleash violence on weaker and meeker people around, thereby recreating the pyramidal caste hierarchy. Yet strangely, while establishing supremacy through violence these feudal thugs also want the quotas of their victims. It is stranger than regular, harmless OCDs like keeping the bed sheet tucked in or talking to oneself. This is murderous schizophrenia and an entire society has gone sick. It is too early to figure out how these attacks are going to play out electorally. If these murders and stabbing incidents end up polarising the Patels and pit them against all their victims, then it could be very costly for Hardik Patel and his supporters. This sort of aggression will only isolate the dominant castes. And it has already happened during the Maharashtra, Haryana and Uttar Pradesh polls. As for the ‘Mr. Dalit’ Whatsapp campaign, the Dalits have once again shown the world that they will not be cowed down. Whoever designed the logo deserves to be at the National Institute of Design, Ahmedabad. Hope someone does a similar logo for the Dalits dying in the sewers of Delhi.